If you’re a budding journalist and someone who is keen to promote road safety then the next Drive it Home course is for you as we’re off to Farmers Weekly’s offices in Surrey. Farmers Weekly has teamed up with the NFYFC to host one of the seven Brake 2young2die training courses that are running in each of the Federation’s areas. Up to 25 young farmers can attend the free session on Friday 17 May at Farmers Weekly's head office in central Sutton. Places on the one-day course are funded by NFU Mutual as part of its support of the Drive it Home campaign. Rachel Jones, Deputy Community & Rural Living Editor said: “We were shocked to hear about the accident rates among young drivers – especially those on rural roads. Some of the drivers in the highest risk category will have been brought up reading Farmers Weekly, so it’s an issue we can’t ignore. 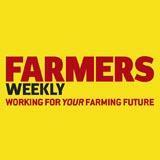 After the session, attendees will also be given a short tour of the Farmers Weekly offices. They'll get a chance to go behind the scenes of Farmers Weekly and meet some familiar faces from the Livestock, Arable, Machinery, Business and Farmlife sections. 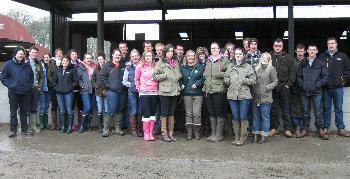 Kate Lyons from Chew Valley YFC, attended the course at Adam Henson’s farm in April and recommended it to other members. Questions about the Funding for Lending scheme and why buy-to-let mortgages cost more were just two of the hot topics YFC members discussed with NatWest specialists at a financial event in the East Midlands. 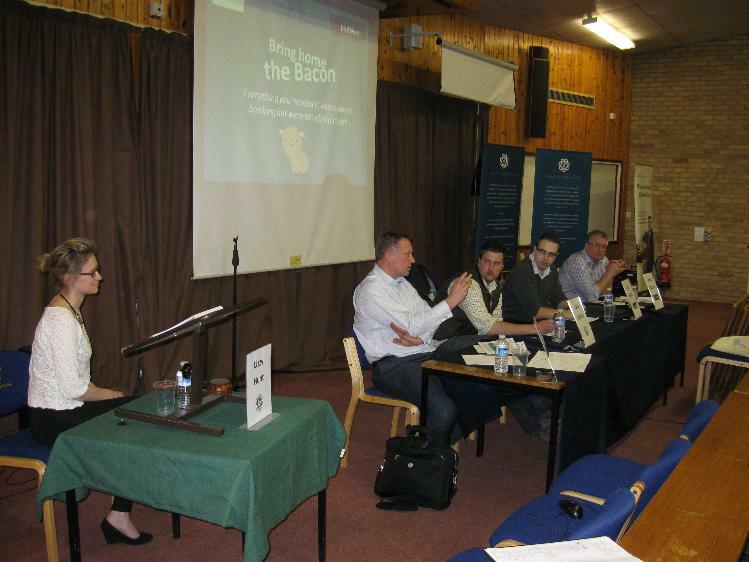 The free pilot event, called Bring Home the Bacon, was an open forum for members to discuss financial queries involving anything from new business advice to YFC finances. Nearly 40 members from across Bedfordshire, Cambridgeshire and Hertfordshire attended the evening and found it to be a very useful experience. The event involved a question and answer session with banking specialists and local branch managers as well as a chance to chat with the experts over tea and home baked cakes – made by members from Young Farmers' Clubs in Bedfordshire. The County helped to make the event at Shuttleworth College a massive success by encouraging members to attend and involving them in providing the refreshments. Luke Abblitt, a tenant farmer from Cambridgeshire and a member of Ramsey YFC, sat on the panel during the question and answer session. As a young farmer who has previously approached the bank for a loan, he advised other members on how preparation and planning was key to his success. Charlie Shiner from Bedford YFC runs a successful online T-Shirt company and encouraged other members to attend future events. “I went along with an open mind. I wanted to see what their attitude was to lending and how they viewed farming. I was impressed with their knowledge and how willing they were to help,” said Charlie who hopes to take on the family farm one day. NFYFC’s 80th Anniversary year is drawing to a close, but as one final mark of this important milestone, the NFYFC Youth Forum is planning to bury a time capsule at the home of the very first Young Farmers’ Club. The group would like to create a capsule that showcases all the organisation has to offer, from competitions and club activities to projects and rallies – and this is where you come in. Each Club will be invited to add something into the time capsule, so look out for more information coming soon! The Youth Forum are already planning to put in a 2013 copy of Ten26 and a current price list of essential items such as milk, eggs and butter as well as an introductory letter to explain the project to the YFC members of 2057 who will excavate the capsule. 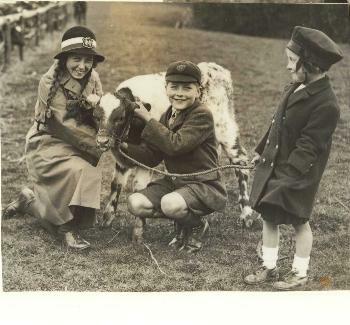 The Youth Forum are hoping that they will be able to bury the capsule at the site of the first Young Farmers’ Club in Hemyock in Devon, and that it will be dug up in 45 years time on the 125th anniversary of NFYFC. With fewer than nine days to go until Annual Convention 2013, organisers are promising it will be the best Convention yet with pre-event ticket sales at a record high. More than 4,000 Young Farmers have bought advance tickets to NFYFC’s event of the year to enjoy a weekend of entertainment, competitions and some serious agricultural discussion at the ARAC Forum. Members are also using the journey to Blackpool to raise thousands of pounds for charities. 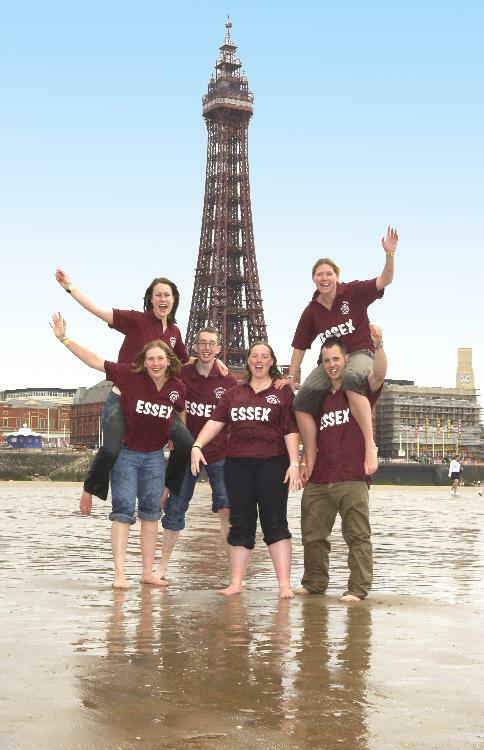 Those travelling from Cumbria, Worcestershire and Devon will be cycling a total of 600 miles, whilst 26 members of Cornwall FYFC will be canoeing 121 miles along the Thames in five days to raise money for a local hospice. A chance to go on driving simulators with Drive Doctors and win a free place on a Drive it Home practical training course. Have fun on an Outgoing snowboarding simulator. Entertainment over the weekend includes sets by Radio One DJs Aled Haydn Jones and Jameela Jamil, and star of the Inbetweeners James Buckley who will take to the stage on Sunday evening at the YFC’s first Boiler Suit Ball. View the full line up. The national finals of the NFYFC Drama, Cheerleading, Ballroom Dancing and Senior Member of the Year competitions will also take place throughout the weekend. Entrance to watch the competitions is free with a wristband so if you’re at Convention, come along and support fellow young farmers. View the full list of competition finalists. 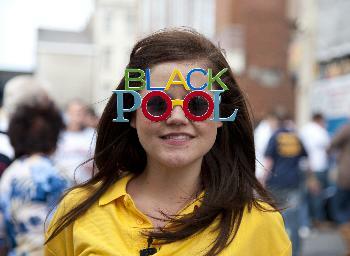 Also on Sunday afternoon, members of Wales YFC will be launching the 2013 Young People’s Village at Walkabout in Blackpool. Members are invited to join in their karaoke competition and enter a competition to win a week-long package to the event starting on 20 July during the Royal Welsh Show. Find out more information here. As well as radio and TV celebrities, leading figures in the agricultural industry will be joining YFC members at the Agricultural and Rural Affairs Forum, including the leader of an industry review into the Future of Farming, David Fursdon, and President of the European Council of Young Farmers, Joris Baecke. Find out more about ARAC 2013. The Winter Gardens will also play host to NFYFC’s 81st Annual General Meeting, which will be chaired by television presenter and NFYFC President, Matt Baker. The AGM is a chance for members to continue the work of the thousands of Young Farmers who have gone before and have their say on the direction of the organisation. The meeting will also include the presentation of various trophies and awards, including the announcement of the Senior Member of the Year. It’s a jam-packed weekend, but you can keep up-to-date with everything that is happening throughout the weekend on Twitter, Facebook and on our very own dedicated Convention Blog. 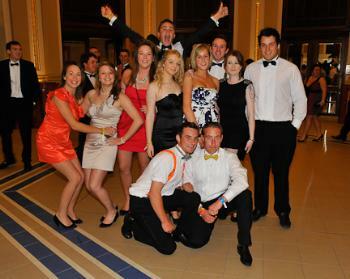 View the full programme for Annual Convention 2013. Watching a bull sale and learning about single farm payments in Ireland were just two of the activities young farmers got up to on a recent study tour to Ireland, which was supported by Defra. Thirty Young Farmers from clubs across England and Wales visited Macra Na Feirme (Ireland’s equivalent of YFC) in April to find out more about farming in Ireland. Ireland’s ARAC Chairman and CEJA representative Eric Driver took the group on a tour that included two farms, a grain merchant and a live mart. One of the farms on the tour was a partnership between a young farmer and an older farmer. The Fort Granite Farm in Wicklow was a perfect example of someone who had taken advantage of the new entrants’ scheme in Ireland and the young farmer told NFYFC members how he had secured money to go into business with an established farmer. At a mixed beef farm in Co Carlo, members learnt about single farm payments and how to buy in finished beef, while a trip to the live mart gave them the chance to see a bull sale. They also got to visit grain merchant Connolly’s Red Mills who supply animal feed. They also test the food – including feed for race horses to ensure it doesn’t include any performance enhancing substances. The CEO of Macra Na Feirme Edmond Connolly met the group on the first evening after they had visited one of Ireland’s oldest pubs, while Irish young farmers showed members the highlights of the Dublin nightlife on the second night. Charlotte Harris from Gillingham and Shaftsbury YFC also went on the trip and said: “It was very informative and interesting to see how they farmed in Ireland. I met some great people and made some great friends – all from the same background so now I have contacts around the country. 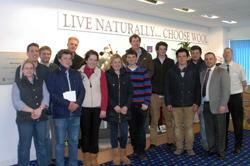 A group of young farmers from Bedfordshire YFC gained a first-hand insight into the complete wool supply chain when they visited the headquarters of the British Wool Marketing Board in Bradford. The tour was one of a number of visits planned for 2013 as part of the ‘Walk the Wool Chain’ study tours, a joint initiative between the National Federation of Young Farmers’ Clubs and the British Wool Marketing Board (BWMB). The group, which included young sheep farmers, were shown every aspect of the BWMB’s work in grading, trading and promoting wool and also visited a scouring plant. “It’s always a surprise to many farmers when they see the level of skill involved in grading wool and the labour intensive nature of the job. It is an essential part of BWMB’s role as we ensure that wool is sold to the producers’ best advantage’’. The visitors also saw a wool auction in action, getting to see buyers from across the UK bidding in the BWMB’s electronic auction and seeing how the auction system helps maximise the value of their wool, said Mr Jones. “We all tend to forget about our wool once it’s left the farm, so it was good to really understand what happens to it once the BWMB have it. NFYFC and the BWMB will be organising a further three study tours between September and March, just visit the Walk the Wool Chain page for more information and details of how to book. You can see more pictures from the trip on the Bedfordshire YFC website.